The signs and symptoms of bipolar disorder can have a major impact on a person’s life. It is common to go through challenges in life, and we all experience highs and lows. That said, people with bipolar disorder have a much tougher time coping during manic highs and depressive lows. As a result, bipolar disorder symptoms can hurt your performance at work or school and damage your relationships. Often family and friends don’t understand mental illnesses like bipolar disorder, which causes further stress and damage to those with the condition. 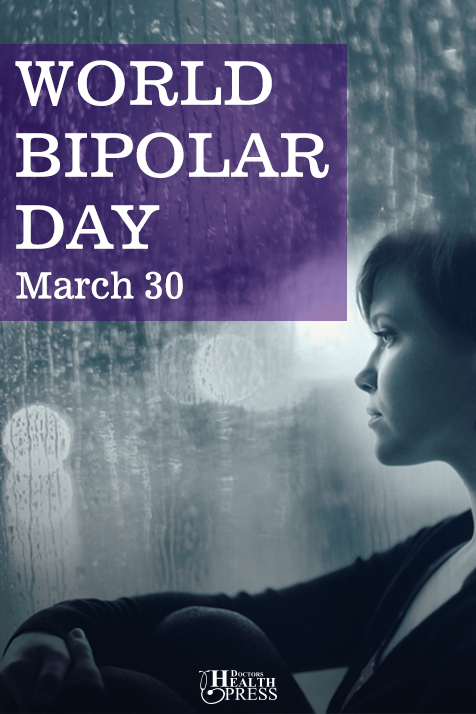 I know first hand how hard bipolar disorder can affect a person and the people around them. My mom was diagnosed with bipolar disorder 2008 at the age of 48. She has gotten help for the condition, but she quite possibly had bipolar disorder for years without realizing it. It took years before we understood the warning signs and symptoms of the condition. Knowing the symptoms is very important, and it is the first step on the road to recovery. Bipolar disorder was formerly called manic depression, and it affects over 10 million people in the U.S., according to the National Alliance on Mental Illness. Bipolar disorder symptoms in men and woman present differently, but the disorder affects both sexes in equal numbers. In over half of bipolar disorder cases, symptoms begin between the ages of 15 and 25 years old. The condition is thought to develop from certain genetic and environmental factors. People with bipolar disorder also have an issue with how the brain handles neurotransmitters. Neurotransmitter deficiencies related with bipolar disorder include serotonin, acetylcholine, dopamine, gamma-aminobutyric acid (GABA), histamine, and norepinephrine or noradrenaline. People with bipolar disorder will experience severe shifts in behavior, thinking, energy, and mood. The condition is more than just having good or bad moods; for example, a bipolar person won’t even get out of bed during a depressive episode. Bipolar disorder symptoms will last for days, weeks, and even months at a time. Unlike ordinary mood swings, the depressive and manic symptoms associated with bipolar disorder can get so intense that they interfere with a person’s everyday activities. Symptoms of bipolar disorder are dysfunctional. The problem is many people don’t understand the actions and manic and depressive behaviors associated with bipolar disorder sufferers. It may surprise you to learn that bipolar symptoms can be mistaken for bad decision making, when in fact the person’s behavior is a sign of the mental illness. The following are 12 major bipolar disorder signs and symptoms. 1. Having a great mood: As mentioned, a person with bipolar disorder experiences uncontrollable highs and lows. During the high times, the person is in a manic or hypomanic state. This is where the person feels good and has a lot of energy. They will appear highly enthusiastic, cheerful, and high-spirited by nature. At the same time, the person still has their grip on reality. In this state, they also have a lot of creativity and they feel an intense euphoric state of excitement and happiness. The person also has an exaggerated self-esteem, which can be described as a superiority or “God” complex. In other words, the person will have too great of a mood. 2. 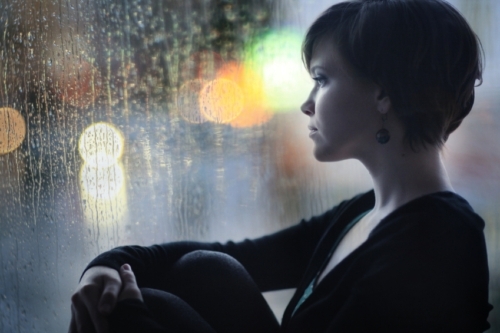 Depression: What goes up must come down, and this is especially true with bipolar disorder. In bipolar disorder, a depressive episode is more than just feeling sad: the person will lose interest in activities or hobbies that they used to enjoy, and they will also experience problems with energy, sleep, and appetite. Other signs of depression include feelings of hopelessness, guilt, worthlessness, anxiety and anger, and they may also withdraw from family and friends. This is similar to those with regular depression. 3. Irritability: Some bipolar disorder sufferers will experience episodes of mixed mania. This is where mania and depression symptoms occur simultaneously. As a result, the person is often extremely irritable, which is manifestation of anger. Most people feel irritable on occasion, but those with bipolar disorder suffer from severe and seemingly uncontrollable irritability that can interfere with relationships and daily activities. 4. Impulsiveness or erratic behavior: People with bipolar disorder will often not consider consequences of their actions. In this scenario the person will impulsively quit their job, engage in risky sexual behaviors, or spontaneously rack up large credit card bills. Shopping is their middle name. They will go on shopping sprees, and sometimes realize their wrongdoing and later return their purchases. A person with bipolar disorder is almost always digging out from a financial hole. They also have no problem going to a casino and compiling even more debt. 5. Rapid or slowed speech: When a bipolar person is in a hypomanic state they will experience hyperactivity, which will lead to rapid or pressured speech. This is where the person is no longer in a two-way conversation. They will jump from topic to topic, and even answer some of their own questions. Bipolar disorder may be the issue when rapid speech is uncharacteristic behavior for the person. On the other hand, those in a depressive bipolar state will experience slowed or slurred speech. The medical term for this is dysarthria. 6. Alcohol or drug abuse: People with mental conditions like bipolar disorder will also have greater risk of a substance abuse problem like being addicted to alcohol or drugs. Studies have found that 46% of bipolar sufferers have problems with alcohol abuse, and 41% are addicted to drugs like cigarettes. People will attempt to self-medicate with alcohol and drugs in order to numb bipolar disorder symptoms. It is thought that neurotransmitter imbalances influence those with bipolar disorder and substance abuse problems. Heavy use of substances will interfere with how the brain processes neurotransmitters like dopamine, serotonin, and norepinephrine. 7. Trouble at work: This bipolar symptom is particularly noticeable with my mom. She has problems with her performance at work, and meeting the expectations of her bosses. My mom is not alone in her workplace problems. In fact, surveys have found that 88% of people with bipolar disorder and depression have reported that their condition has affected their work. Some people opt not tell their workplace about their bipolar disorder diagnosis because of the stigma surrounding mental illness. That said, my mom did inform her work and they are supportive of her condition by giving her time off for treatment. 8. Racing thoughts: People with bipolar disorder will also find that their mind races uncontrollably. It’s as if the person’s thoughts are taking over their consciousness. Picture a carousel continuously going round until it is out of control. The person’s racing thoughts will sometimes occur in conjunction with rapid speech. It should be noted that racing thoughts is different from hearing voices, which is a symptom of schizophrenia. 9. Memory or concentration problems: There is also an impaired cognitive component related to the depressive and manic symptoms of bipolar disorder. The person will often report issues with long-term and short-term memory, attention span, or concentration. This occurs through similar neurotransmitter disturbances responsible for mood swings. Bipolar patients with memory problems should structure tasks to make them easier to put less of a strain on the working memory. Making to-do lists is another method to help bipolar patients’ complete tasks. Sometimes memory problems can also be side effect of bipolar medications. 10. Severe fatigue: Severe fatigue or a lack of energy is one of the most debilitating symptoms of bipolar disorder. People with bipolar disorder will feel so tired that they won’t want to get out of bed. The person will also sleep longer than usual, and they lack motivation to do anything. Severe fatigue is common during the depression phrase, but it may also be an issue during times of mania. Exhaustion can also be a side effect of bipolar disorder drugs. Going to bed at the same time every night, waking up every morning at a similar time, and avoiding using electronics prior to bedtime can help improve severe fatigue in those with bipolar disorder. 11. Insomnia and sleep problems: Insomnia and other sleep problems are also common with bipolar disorder. For instance, during the manic state, a person might not sleep enough and yet have lots of energy. But during a depressive state, the person might sleep too much and still feel tired constantly. Bipolar disorder sufferers should definitely keep a regular sleep schedule. It also helps to practice deep breathing exercises or meditation at night. 12. Thoughts of suicide: Suicidal thoughts are as bad as it gets for a person with bipolar disorder. The person may even tell someone of their suicidal thoughts. This is a clear red flag, and a call for help. If a friend or family member tells you of their suicidal thoughts, it is urgent to make sure the person is not left alone, and to get in contact with their doctor or therapist. How to bipolar disorder treated? Treatment for bipolar disorder is aimed to reduce depressive and manic symptoms, and will include mood stabilizers like lithium and certain anticonvulsants. Other drugs for bipolar disorder include second-generation antipsychotics, selective serotonin reuptake inhibitors (SSRIs), and electroconvulsive therapy. There are also natural ways to treat bipolar symptoms. For instance, counseling or body-center psychotherapy can help a person heal the emotional blocks associated with bipolar disorder. Other natural therapies include hypnosis, acupuncture, reiki healing, tai chi, qigong, yoga, and meditation. It also helps to avoid stimulants such as cigarettes, alcohol, and caffeine. Natural bipolar remedies also include omega-3 fatty acids, ashwagandha, magnesium with calcium, 5-hydroxytryptophan (5-HTP), S-adenosyl-L-methionine (SAMe), vitamin D, vitamin C with bioflavoids, B complex vitamins, high-potency multivitamins, GABA, turine, and L-tyrosine. Nordqvist, C., “Bipolar Disorder: Causes, Symptoms and Treatments,” Medical News Today web site, January 4, 2016; http://www.medicalnewstoday.com/articles/37010.php, last accessed February 10, 2016. Worth, T., “10 Subtle Signs of Bipolar Disorder,” Health web site; http://www.health.com/health/gallery/0,,20436786,00.html, last accessed February 10, 2016. “Bipolar Disorder Signs and Symptoms,” Help Guide web site; http://www.helpguide.org/articles/bipolar-disorder/bipolar-disorder-signs-and-symptoms.htm, last accessed February 10, 2016. Coryell, W., “Bipolar Disorders,” Merck Manual web site, last updated November 2013; http://www.merckmanuals.com/professional/psychiatric-disorders/mood-disorders/bipolar-disorders, last accessed February 10, 2016. “Could it Be Bipolar? – Seven Signs to Look For,” Healthline web site, March 26, 2015; http://www.healthline.com/health/could-it-be-bipolar-seven-signs-to-look-for#Overview1, last accessed February 10, 2016. Nemade, R., et al., “Bipolar Disorder Suicide,” Mental Help web site, August 7, 2009; https://www.mentalhelp.net/articles/bipolar-disorder-suicide/, last accessed February 10, 2016. Purse, M., “What Are Racing Thoughts?” About Health web site; http://bipolar.about.com/cs/faqs/f/faq_racethought.htm, last accessed February 10, 2016. “Bipolar Disorder and Your Job,” WebMD web site; http://www.webmd.com/bipolar-disorder/going-to-work-bipolar, last accessed February 10, 2016.